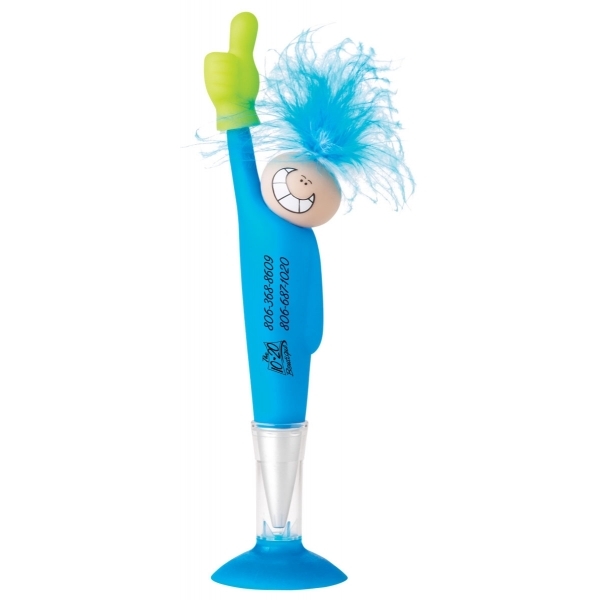 Ballpoint pen with feather hair, funny face, and giving a "Thumbs Up". 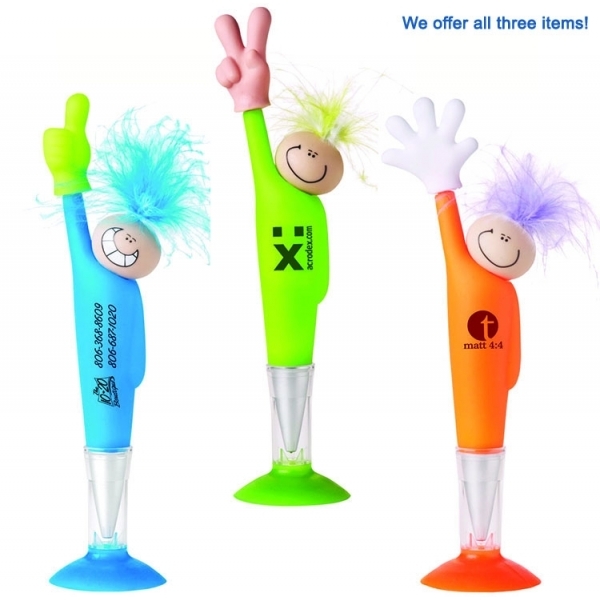 Twist-action, retractable black ink cartridge, along with a color-coordinated suction cup base. 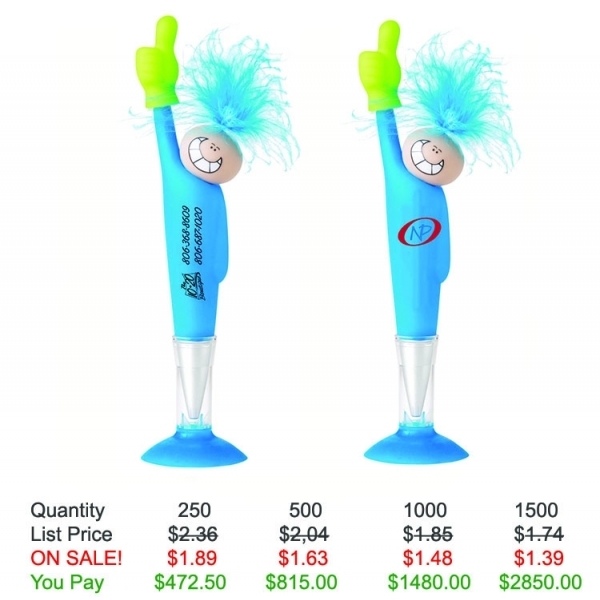 This funny face giving a "Thumbs Up" is the perfect way to put your boldly branded message directly into the hands of your customers!